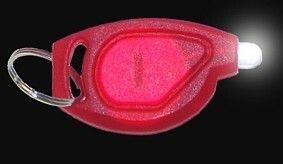 Small Key chain light. Perfect for your field tools, will fit any about any small place. Light emitted is red which will not dilate your pupils at night. Fits in flight and field box easily. Small Key chain light. Perfect for your field tools, will fit any about any small place. Light emitted is blue. 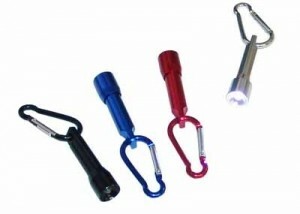 Small Keychain light. Fits in field box easily. Handy for night flying for small task lighting. LED Emits white light. Case color random. Small flashlight with solar panel and built in rechargable battery. 3 LED. This is the brightest of the small lights we stock.